Arsenal survived an Everton fightback to win 2-1 at Goodison Park and move to second in the table. Bacary Sagna scored a rare goal from a tight angle on 36 minutes after being teed up by Andrey Arshavin. The Gunners then went two up when Cesc Fabregas slotted home three minutes after the restart following a one-two with Marouane Chamakh. But Everton refused to give up and Lukasz Fabianski produced fine saves to deny substitute Jermaine Beckford, Steven Pienaar and Louis Saha. The hosts had their first chance of the afternoon from a set-piece as Mikel Arteta swung in a corner but Saha, impeded as team-mate Cahill, headed wide. Nasri broke clear for Arsenal but opted not to pass as he reached the box and Sylvain Distin stuck out a leg to block his shot. Everton countered swiftly from the resulting corner as Cahill released Seamus Coleman down the right. The exciting Irishman beat Fabregas as he raced into the box and crossed for the unmarked Cahill but the Australian headed over at the far post. Jack Wilshere almost found a way through for Arsenal after intricate play involving Chamakh and Samir Nasri but Phil Jagielka slid in at the cost of a corner. Everton probed forward and Saha curled a shot over after Cahill failed to control the ball on the edge of the area. After a subdued period, the game came to life as Sagna opened the scoring with a ferocious strike in the 36th minute. Nasri first tested Tim Howard as he cut in from the right and unleashed a powerful left-foot shot from outside the area. The American saved well to his left but Arshavin retrieved the ball and teed up Sagna to rifle into the top corner from a tight angle. Referee Howard Webb courted controversy on the stroke of half-time when he refused Pienaar a free-kick just outside the area after an apparent foul by Alex Song. Saha then headed against Fabianski from a corner but Webb caused further ire when he pulled up play to give a goal-kick having apparently felt the initial cross swung out of play. Jack Rodwell made a welcome return for Everton at the start of the second half after 11 weeks out with an ankle injury, the midfielder replacing John Heitinga, who was on a booking. Arsenal also made a change with Denilson coming on for Wilshere and the Brazilian was soon involved. Denilson won the ball after Arteta was fed a poor pass in the centre circle and broke forward. Fabregas then worked the ball on to Chamakh in the box and the Spaniard took a quick return pass to swivel and shoot beyond Howard. Everton attempted to hit back and Arsenal were fortunate not to be reduced to 10 men as Saha was hacked down by Sebastien Squillaci. Webb only produced a yellow card but it could be argued Gael Clichy could have got back. Fabregas was then booked after a challenge on Distin which left both players on the ground but the incident appeared accidental, then Rodwell shot over. Arsenal should have had a third after Nasri broke the length of the field but Howard stood up until the last moment to block the Frenchman's shot. Chamakh then put another glorious chance over from a Fabregas cross but Saha was unlucky at the other end when Song got in the way of a fierce shot. 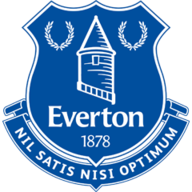 Everton sensed the need to attack and manager David Moyes went with three up front as he replaced Arteta and captain Neville for Yakubu and Beckford, who immediately went close as he turned sharply in the area but Fabianski tipped around the post. Yakubu then picked out Pienaar with a low cross but again Fabianski was alert - and the goalkeeper did brilliantly to tip away a Saha shot. 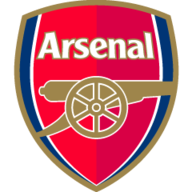 Everton finally got on the scoresheet with a minute remaining when Saha jumped high to reach a cross at the back post and Cahill fired past Fabianski but four minutes of injury time did not produce an equaliser and the Gunners held on for a vital three points.